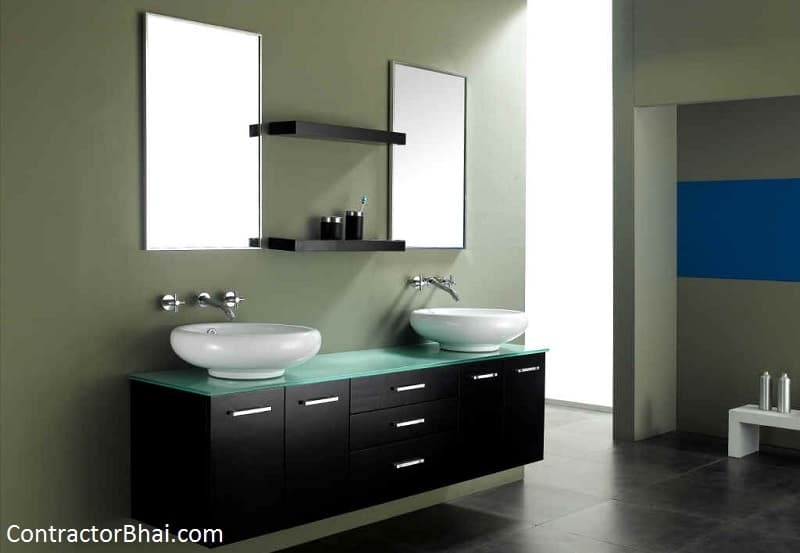 We receive calls from many modern home-owners enquiring for making furniture in their bathrooms. Having furniture for bathroom truly depends on size of the bathroom. But a furniture piece that all Home owners can have is a cabinet below the wash-basin. These cabinets are easily available in market or home owners can get it made as per their choice of design, style and size. Here home owners can store their laundry clothes, extra toiletries, etc. For bathrooms that allow or big bathrooms home owners can have furniture’s like shelves or cabinets of 1’x1’ or 1.6’x1.6’ near WC area. But this is only if the shower area is not next to near WC area because water splashes can cause damage to the furniture made. The selves could be made of different material like glass, marine ply, etc. As I said earlier the size and depth of selves or cabinets would mainly depend on space availability. These fixtures can be used to stack towels, napkins and basic clothes. Hooks is one of the space saving and easy to install fixture for any room. 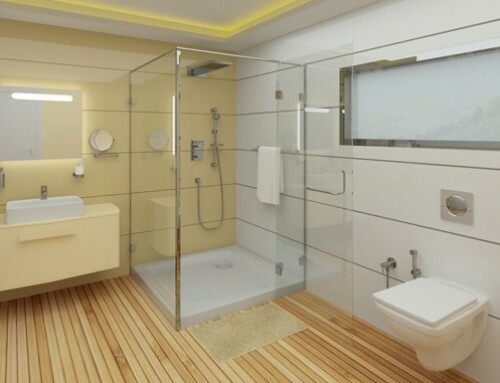 Home owners can choose from variety of designs to match their bathroom interiors. These hooks could either be installed on inside of bathroom door or on appropriate walls. Home owners can also have easily available steel or aluminum racks available. 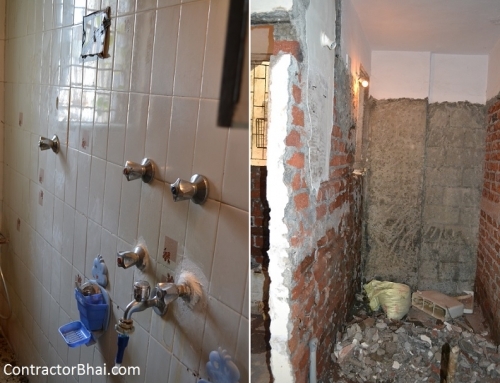 For any elders in home, home owners can have a bench in shower area. This will make it easier for elderly people to have bath especially those who find it difficult to stand for long. There are variety of leisure fixtures like Towel Stand, Ladder Floor Storage with Basket and many more in various designs and style to match modern bathroom interiors. 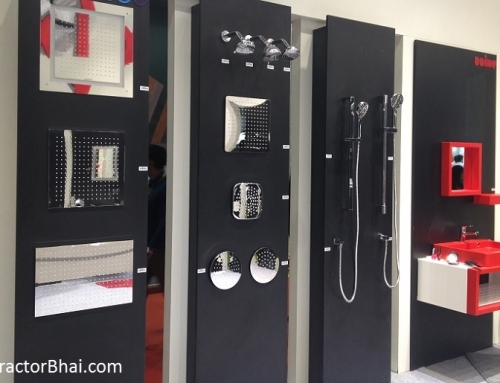 Well with growing demand of modern home owners and spaces, the list of bathroom fixtures too is growing day by day. 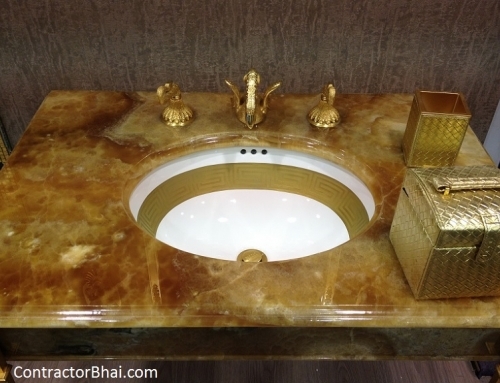 Home owners can contact our contractorbhai.com team to know what kind of furniture and fixture is best for your bathroom spaces.